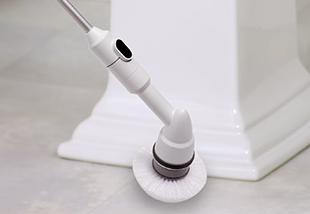 Tackle dirt, mess, and grime faster anywhere in your home with a powerful cordless scrubber. 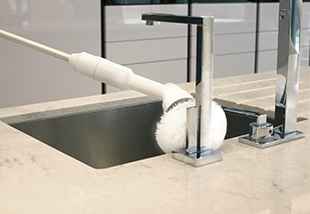 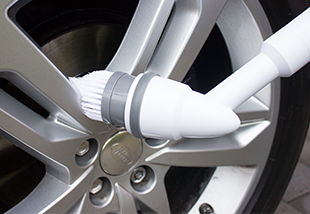 Turbo Scrub cleans anywhere using a brush that rotates at 300 rpm to tackle any task. 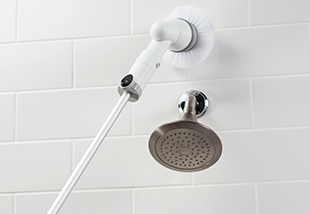 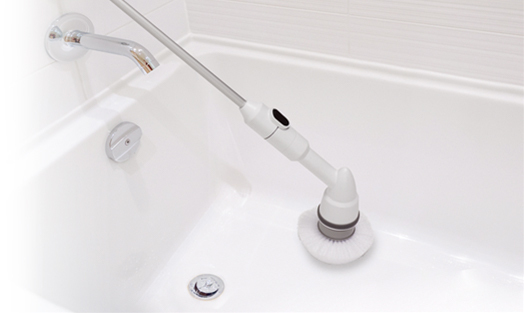 The all-purpose high-powered brush removes soap scum, baked on residue, and other stains from tiles, grout, shower doors, ovens, and more. 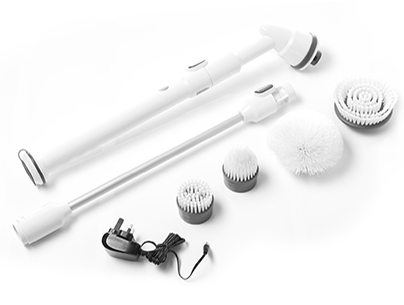 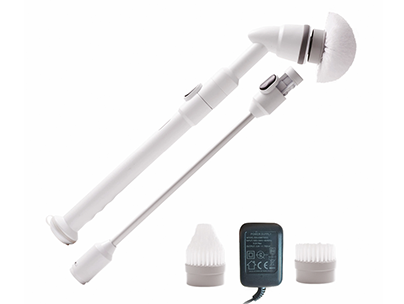 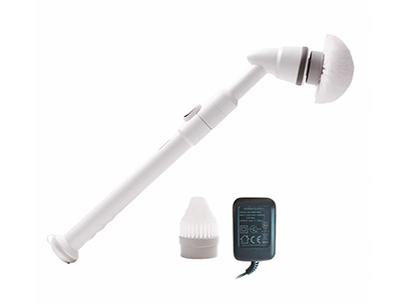 With over 3.5 ft of reach, and interchangeable brush heads, no indoor or outdoor surface is left unclean. 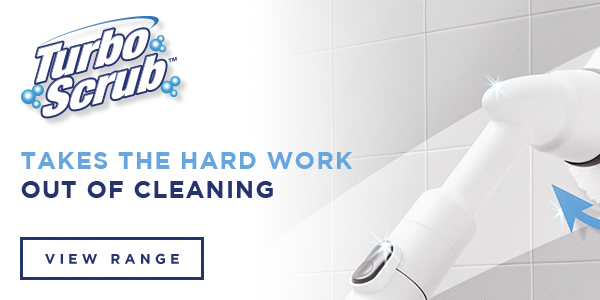 Double the cleaning time per charge.